possibilities for unique creations are limited only by one’s imagination. 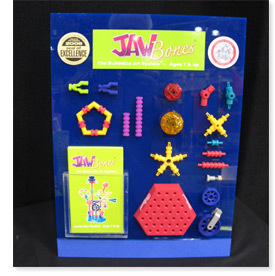 The high quality precision pieces in the sets will provide many hours of enjoyment for any budding artist, architect, sculpter, designer, engineer or builder. 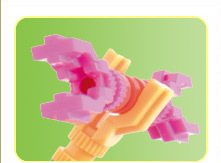 Please click on the links below to view photographs of the various toy sets. 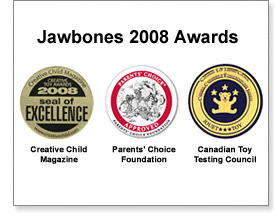 For a copy of the Jawbones sell sheet, please click here.